North East fans of cheese slicers, shoehorns and yodelling flamingos are about to have their prayers answered – yes, the fun Danish variety chain Tiger is all set to open a store in Newcastle’s Intu Eldon Square “around mid-November”, and is currently advertising for sales staff and supervisors. It seems hard to believe that it’s nearly three years ago since I blogged about the then-upcoming Tiger store in Glasgow. 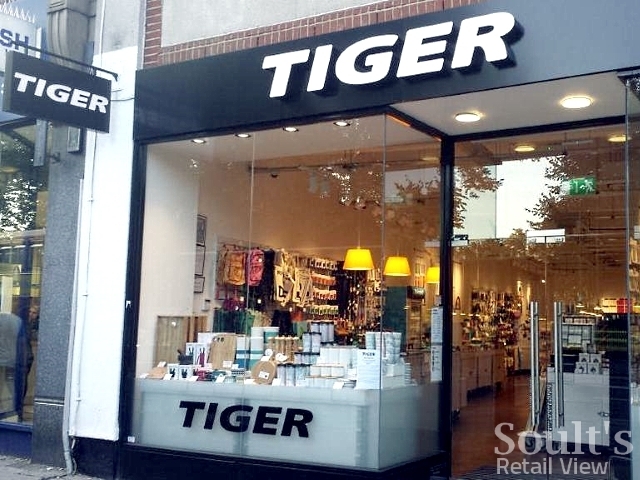 Back then, there were just 18 Tiger stores in the South East of England and a further three (including Glasgow, Dunfermline and Livingston) in Scotland. The Tiger concept clearly appeals to UK shoppers, though. Since November 2012, store numbers have trebled to 62, including a couple of additional shops in Scotland (Edinburgh and Dundee), plus new ventures into South Wales, the Midlands, as far west as Plymouth, and east into Ipswich and Norwich. Stores have opened on the prime pitches of Tottenham Court Road and Oxford Street in London, and one of the most recent additions, which I visited a couple of weeks ago, is in Birmingham’s Grand Central shopping centre, where Tiger is close to the spot that used to be another ‘stuff shop’, Woolworths. As a format, it’s interesting that Tiger seems as comfortable on busy high streets, such as Chiswick (pictured at the top of the page), as it is in malls. 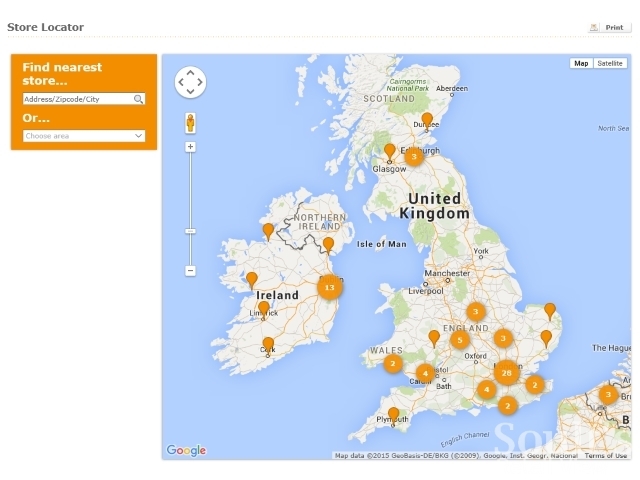 Until now, however, the map of Tiger stores has had a big blank space between Scotland and the most northerly stores in England – currently in Derby and Nottingham. 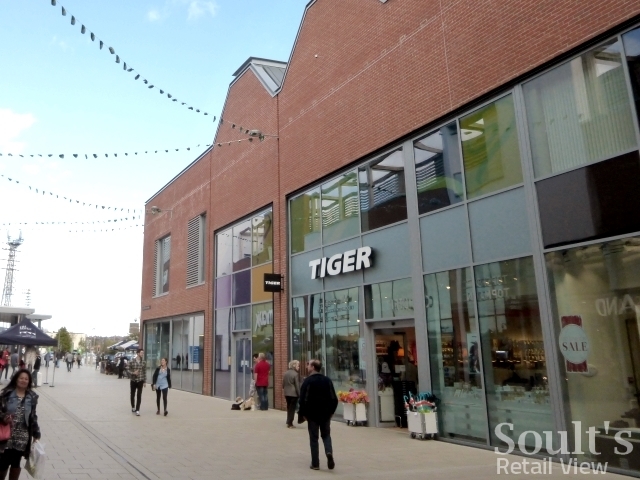 The reason for this hole in the North of England has been Tiger’s unique expansion model, where it operates not via wholly-owned or franchise stores but through 50-50 joint ventures with local companies, 50% owned by Zebra A/S (i.e. the overall owner of the Tiger brand) and 50% by the local partner. In the case of the UK, this means that Tiger’s 60+ stores are actually operated by four different regional entities – not that the customer would know this, because everything about the brand, stores and product is consistent across the country, thanks in part to Zebra A/S always having that 50% stake. The North, however, hasn’t been covered by a joint venture before. If my interpretation is correct, what seems to be happening is that the Scottish operation is now part of a larger region also incorporating the North of England, thereby paving the way for Tiger to finally head up north – or, more precisely, head down over the border from Scotland. My initial digging around online suggests that Newcastle is the only upcoming store in the North for now, but others – especially in places like Leeds, Manchester and Liverpool – will surely follow swiftly, given the pace of openings elsewhere over the past few years. Still, it’s great news for Newcastle that it appears to be getting the first Tiger in the North. Of course, the city’s proximity to Scotland, plus Tiger’s established links with Intu (which already hosts Tiger shops in several of its other centres), may well have something to do with it, but the most important draw is that Newcastle city centre really seems to be doing well just now, filling empty units quickly and attracting a raft of strong retail and leisure brands. On that score, one thing I’m not quite sure of yet is where precisely in Eldon Square the Newcastle Tiger store will be opening. 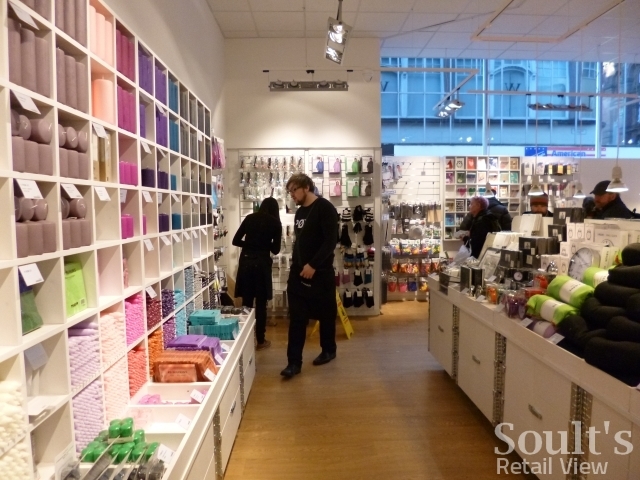 Tiger’s space requirement is 2,200 to 3,500 sq ft (though the Birmingham store feels somewhat larger), and – quite unusually among retailers – it seems to like units with plenty of glass, especially on corners, to allow clear views into the shop (like the Edinburgh store, pictured below). Looking at the current Eldon Square leasing plan (last updated a month ago), there aren’t many options. In fact, there currently appears to be only one vacant unit at all outside of the in-development Grey’s Quarter – every other space looks to be either occupied or under offer. 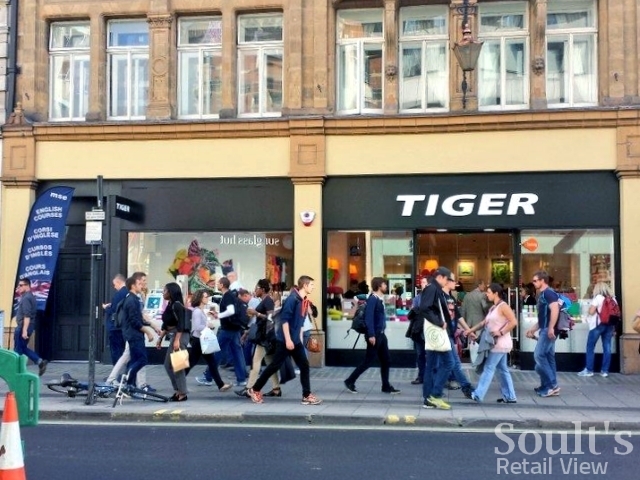 Of those few ‘under offer’ units, I’d probably wager that Tiger is headed for the ex-Foot Locker at 2 Douglas Way, which has a ground floor sales area of up to 2,428 sq ft – though I clearly need to get myself over there to check. Sometimes the hazard of travelling the country – visiting London and the Midlands in the last fortnight – is that I don’t get to see what’s on my own doorstep as frequently as I might like. 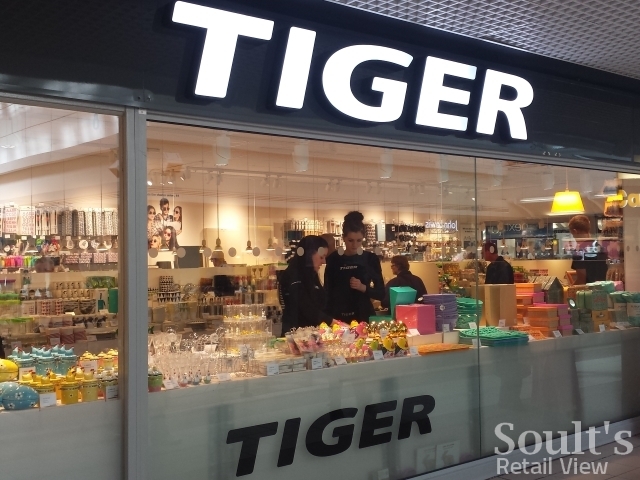 Nevertheless, wherever Tiger is headed in Eldon Square, its presence will no doubt be announced soon if its opening is in less than a month. When it does, you’d better not bet against that yodelling flamingo going straight in my basket. My retail consultancy business, CannyInsights.com, provides bespoke place- and sector-specific market intelligence, including coverage of variety store retailing and of all parts of the UK. It also works with retailers nationwide to improve their stores and marketing. For more information, visit www.cannyinsights.com, drop me an email, or give me a call on (0191) 461 0361. What’s wrong with the northwest?? There’s one in Preston (http://uk.flyingtiger.com/en-gb/countries/united%20kingdom/stores/en401), but I am surprised there aren’t more yet after those initial three in the North of England! Any more opening in the north east? Sunderland is already open; Middlesbrough and Darlington (and perhaps Metrocentre) would be the only other likely locations, but I’m not aware of any more in the pipeline. I don’t work for Tiger, but I’m sure if you take it back next time you’re passing they will sort out a refund or replacement. My impression is that they’re pretty good at dealing with anything that goes wrong.